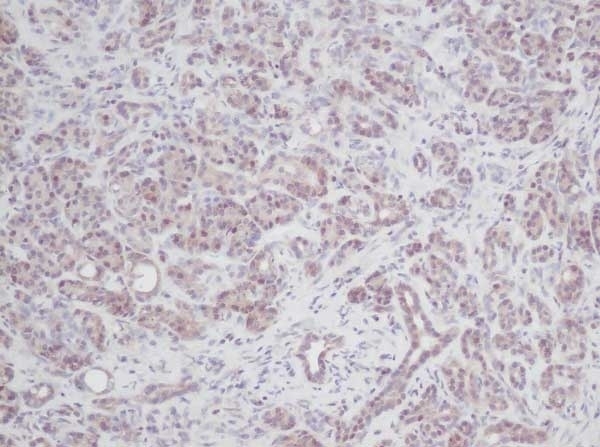 Rabbit anti Human Interleukin-2 antibody recognizes human IL-2 (Interleukin-2), otherwise known as T-cell growth factor, a 133 amino acid glycoprotein and potent immunoregulatory cytokine produced by antigen or mitogen stimulated T cells. IL-2 is a multi-functional cytokine which signals through the IL-2 receptor complex (IL-2R), and is principally involved in the stimulation of the T cell proliferative response, promoting T cell clonal expansion and the expansion of T memory cells expressing low levels of high-affinity IL-2R. IL-2 also stimulates the growth/differentiation of B cells, monocytes, NK cells, macrophages and lymphokine activated killer cells. Antisera to human IL-2 were raised by repeated immunisations of rabbits with highly purified antigen. Purified IgG prepared by affinity chromatography. IgG concentration 0.1 mg/ml after reconstituiton. 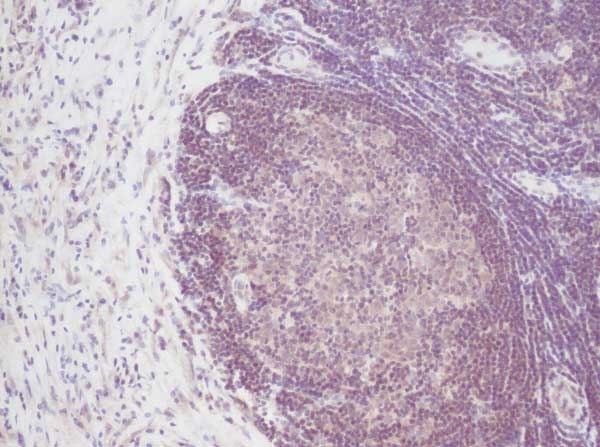 This biotinylated human IL-2 antibody may be used in a direct ELISA or as the detection reagent in a sandwich ELISA with our purified human IL-2 antibody (AHP1032) and recombinant human IL-2 (PHP042) as the standard. Fujita, T. et al. (1983) Structure of the human interleukin 2 gene. Proc Natl Acad Sci U S A. 80 (24): 7437-41. Nelson, B.H. (2004) IL-2, regulatory T cells, and tolerance. J Immunol. 172 (7): 3983-8.